I have profound appreciation for font designers. 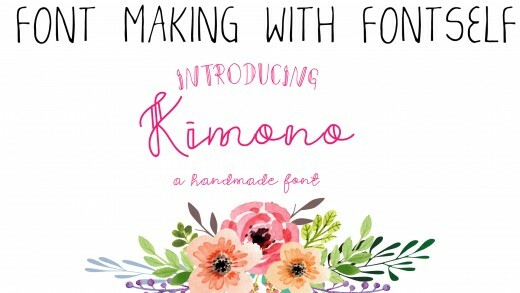 There's a sure enchantment to the demonstration of turning your hand drawn letters into fonts. In any case, as energizing as the entire procedure seems to be, I know it can be overwhelming. 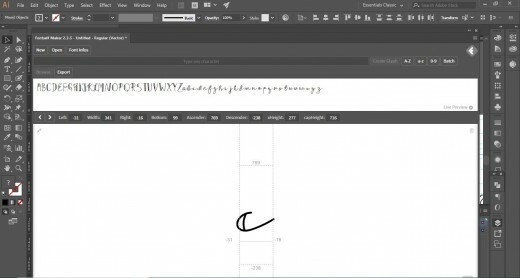 All through this article, I'll demonstrate to you how to use Fontself — a straightforward Illustrator extension — to go from hand drawn letters to an OpenType font (.OTF) in minutes. 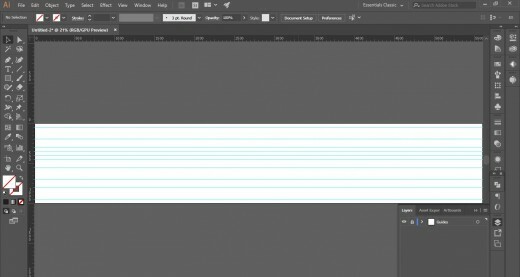 Create a 5600 px x 1000 px document in Adobe Illustrator. Hit Ctrl + R to bring in the rulers. Prepare the guides as shown in the figure below. 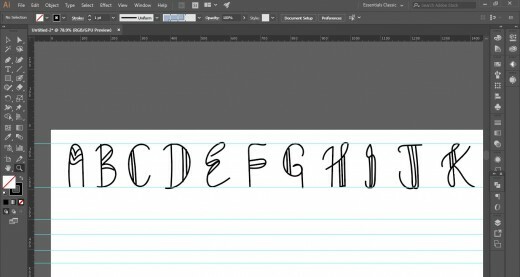 First two guides are for uppercase letters. Next four guides which are Ascender, x-height, Baseline and Descender Line are for Lower case letters. Then we have the next set of two guides for numbers and Remaining two are for punctuation. Once you have created the guides, lock the layer. Fidelity - Towards smooth as we don't want the shakiness to appear in the letters. Make sure Keep selected and Merge only with selection is turned off. Also note that you can vary the brush options as per your requirement. You have a lot of options to choose, from serif, sans serif to script and many others. 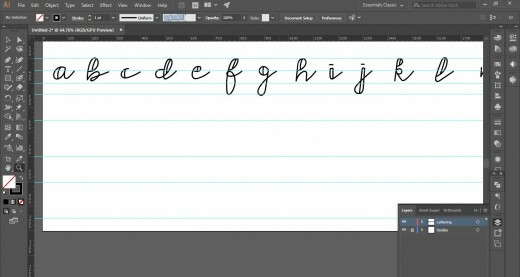 I wanted to create a decorative style script font for lowercase letters. That's what I will be creating here. It's always best to have all the letters aligned on a single line, in this case line being our guide. Also make sure that the alphabets, numbers are aligned from A to Z, a to z and 0-9. Group the letters. 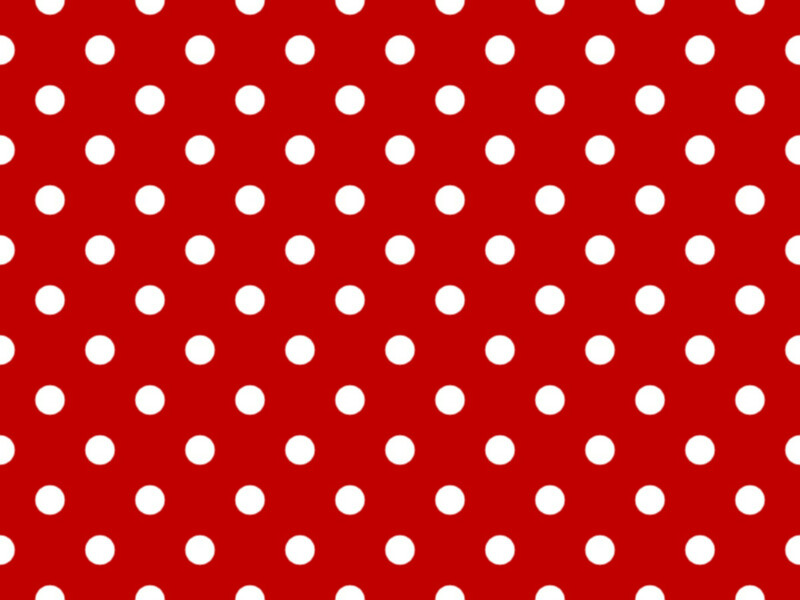 For example dot in the i needs to be grouped together. Else it will be imported separately. Also the same needs to be incorporated in the punctuation. 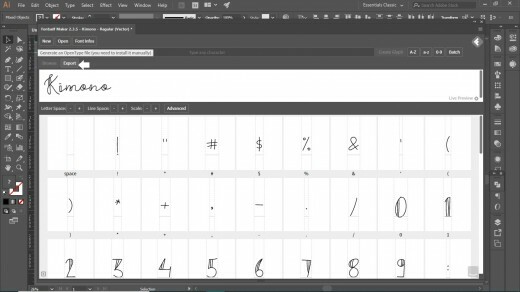 Importing to fontself can be done by selecting one or several letters at the same time. 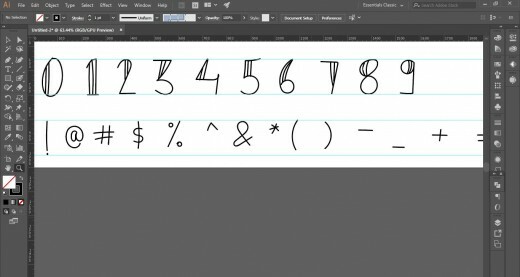 To create a single letter, type the character in the fontself text box and press Create Glyph. 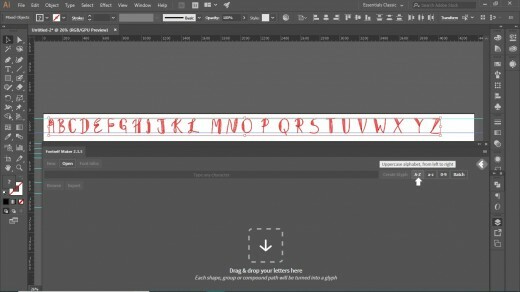 To create a whole uppercase alphabet, click on A-Z button as shown below. Similarly lowercase letters and numbers can be imported by pressing "a-z" button and "0-9" button. To create punctuation or any other set of characters, press Batch. 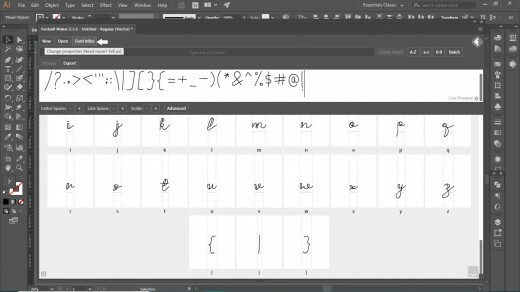 Glyphs can be changed by typing a new character below each glyph. 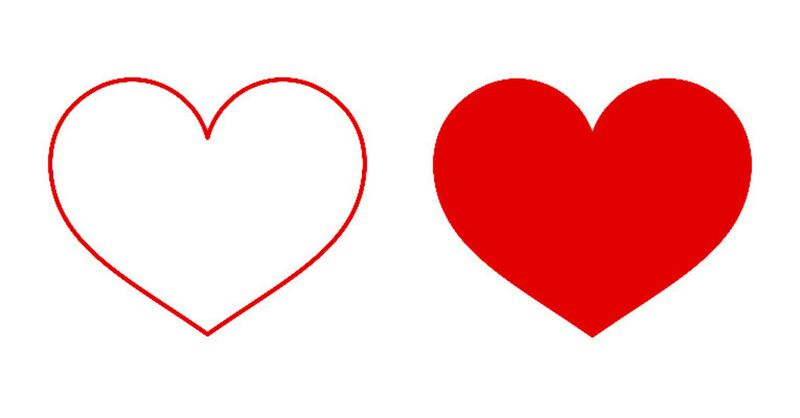 Alternatively, Drag & drop on the Fontself panel also works to create glyphs. Just drop your characters on top of the relevant area. 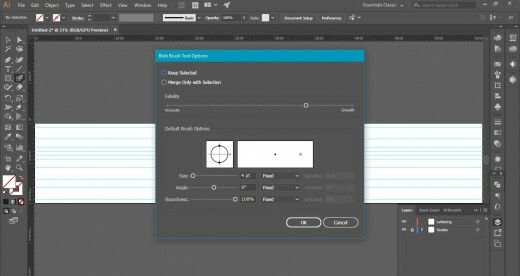 Adjust the baseline, margins, left and right side bearing around each glyph in the Fontself panel (just click & drag). 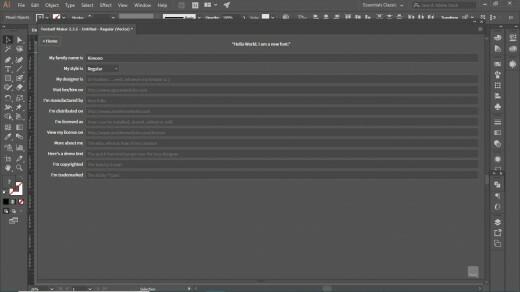 In order for you to name your new font, open Font Info and type the name, designer and so on in the desired text field. Press Export to save your font as an OpenType .otf file.